Happy New Year! 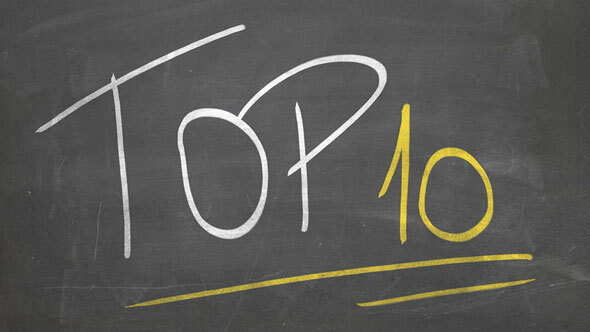 Thanks for Reading Top 10 in 2016. 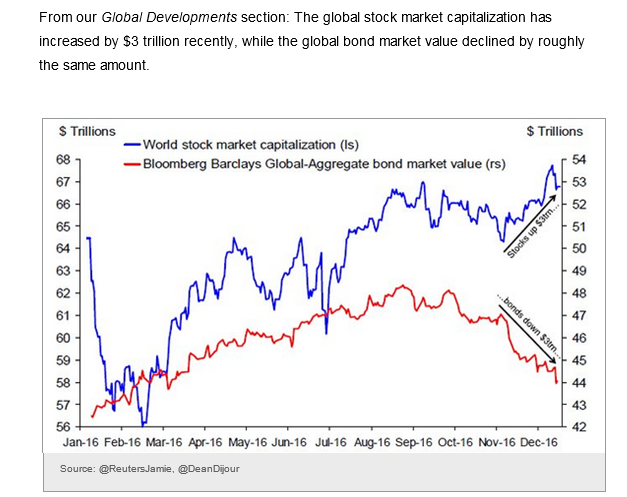 Stock Market Capitalization Up $3 Trillion…Bond Market Capitalization Down $3 Trillion. 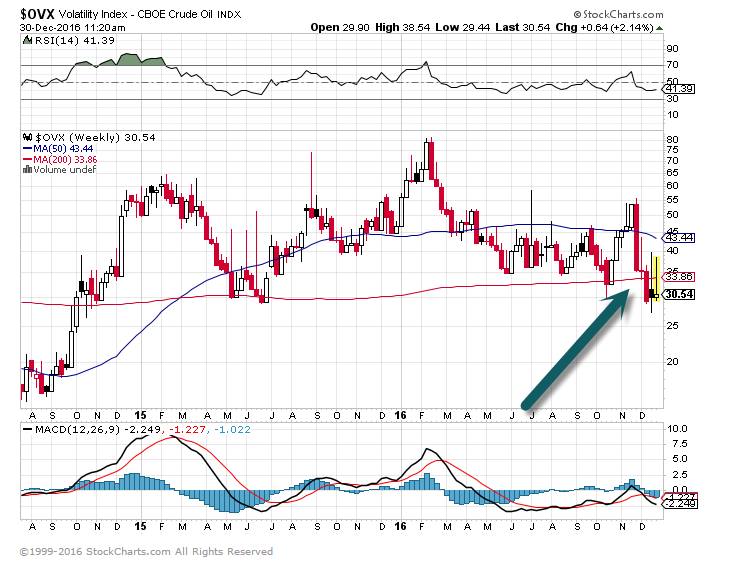 2.Oil Volatility Closes Below 200day on Weekly Chart for First Time in 2 Years…..60% Off Highs. 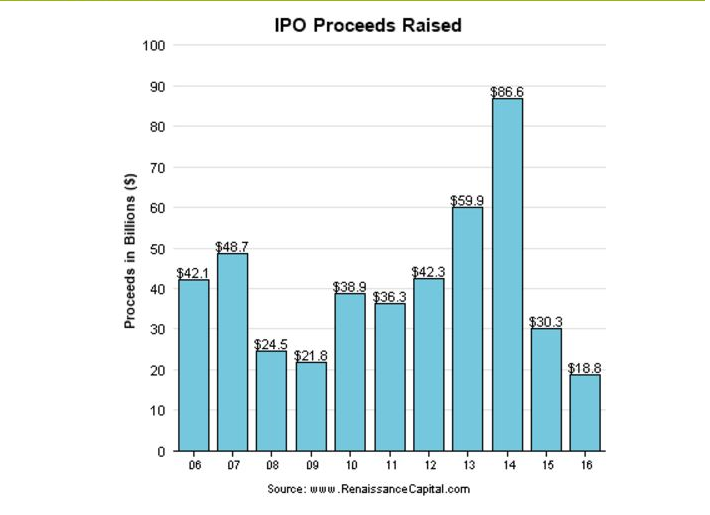 3.2016-The Slowest IPO Market in 13 Years….Private Valuations Coming Down in Big Way. It helps that the private market is correcting: Venture-capital-backed technology valuations went from about 5.3 times sales in 2014 to 4.1 times in 2015 to 3.5 times this year, Smith notes. 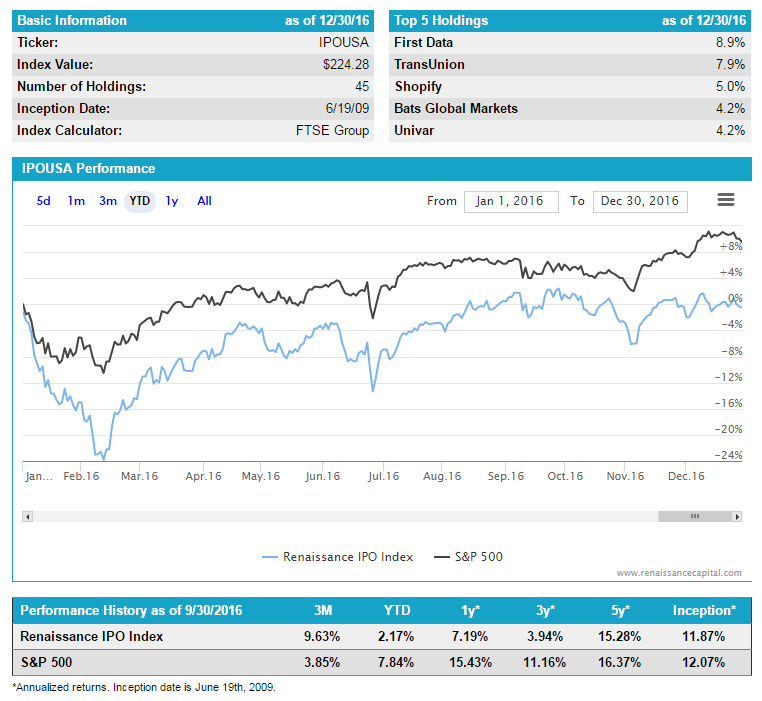 Meanwhile, rallying stocks have lifted the Nasdaq Composite Index from about 1.9 times sales to 2.5 times within 11 months, and the chasm between private and public valuations is narrowing. Snap Inc. is expected to be 2017’s savior from a depressing market for initial public offerings, but the ridiculously high valuations of other so-called unicorns, as well as a market still seen as unsteady, could make the chances for a revival disappear as fast as a Snapchat message. 2016 is expected to go down as the worst year for IPO returns since 2003, according to global IPO investment adviser Renaissance Capital, and the technology startups that have garnered so much ink in the past few years were a major reason. There were only 21 U.S. tech IPOs in 2016, according to Renaissance, which also manages IPO-focused exchange-traded funds. 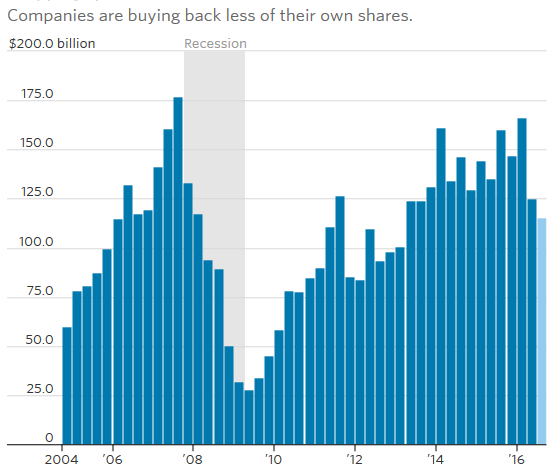 S&P 500 firms repurchased $115.6 billion worth of their own stock in the third quarter of this year, down 28% from the same quarter a year earlier, according to FactSet calculations. 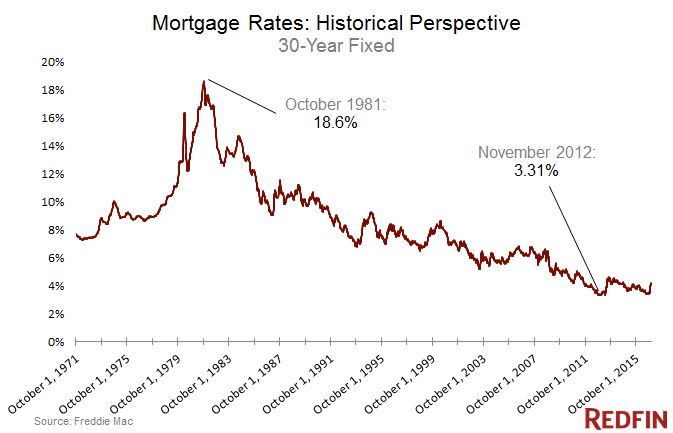 That’s the largest year-over-year decline since 2009, and follows a sharp drop-off in the second quarter. Buybacks tend to ramp into Year End..
5. 70% if Money that Flowed into Europe in 2015 Left by Dec. 2016. As of early December, 70% of the money that had flown into Europe in 2015 had left the region again, mainly due to political concerns, according to Credit Suisse. 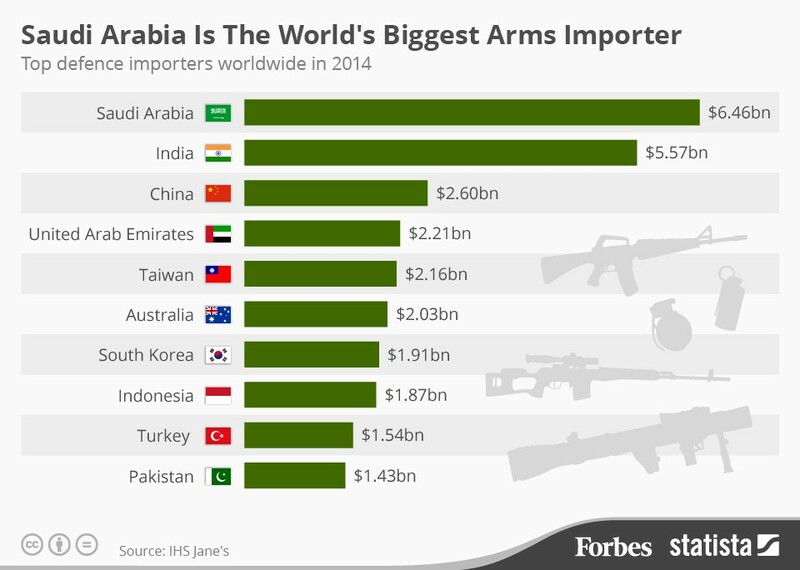 And that’s why investors should consider diving back into Europe now while the region’s equities are still being punished for political fears. Even if those jitters persist, strategists note that a combination of fiscal easing, stronger economic growth and solid corporate profits should send stocks from the continent higher in coming years. th, higher margins, a strong recovery in commodity earnings and a moderate rebound in financials’ profitability,” Morgan Stanley strategists said in a note. They also noted that European earnings have fallen by 30% since 2011 and remain 44% below their all-time high in 2007. 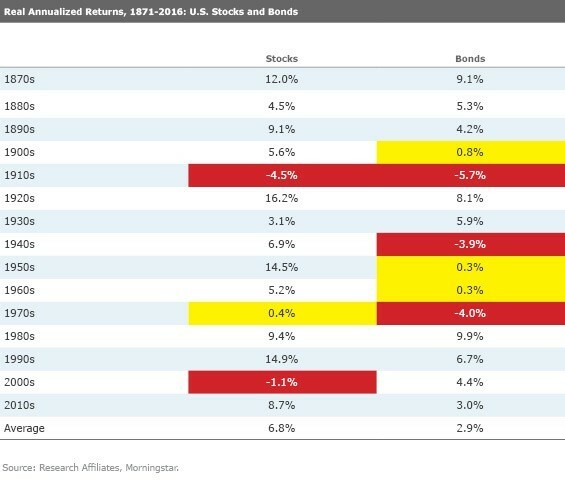 6.Bond Returns in Real (inflation adjusted) Terms. Bonds are typically the portion of the allocation that investors worry least about, especially over the past 35 years. Fixed Income tends to have lower volatility than most other asset classes and if you just look at the nominal returns of bonds over time, you would probably be reassured. 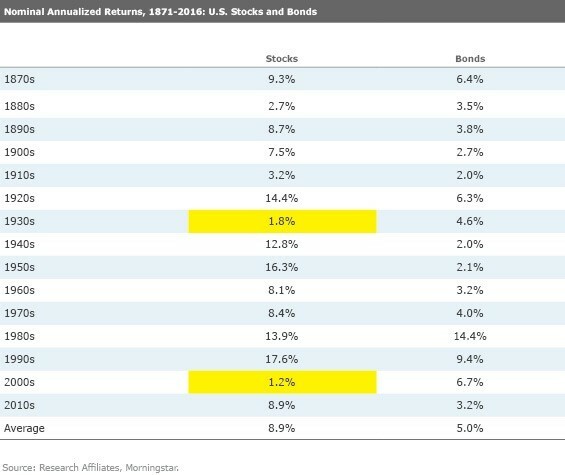 After all, as shown in the first table below, nominal Fixed Income returns have been positive in every single decade since the 1870s. In the tables below, losing performances are shaded in red, those with annualized gains of 0% to 1.9% in yellow, and left unshaded are any gains of 2% or higher. 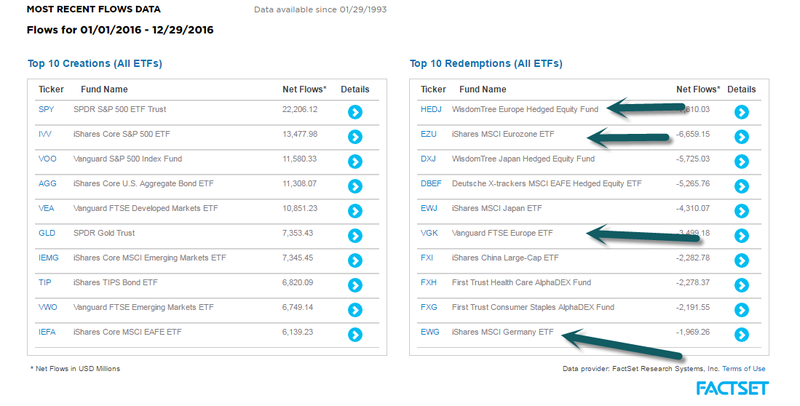 However, real annualized returns show a very different story. After accounting for inflation, bonds have not always been so stellar. What action should be taken if fixed income were to enter into another extended period where its real returns weren’t so favorable? That will depend on each client’s circumstances, but DALI is a good way to determine where strength resides both among and within this very important asset class. 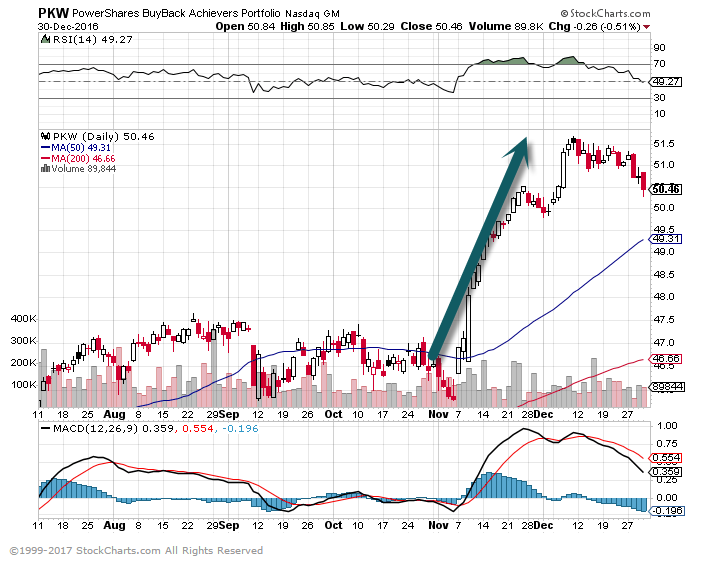 The relative strength strategy is NOT a guarantee. There may be times where all investments and strategies are unfavorable and depreciate in value. 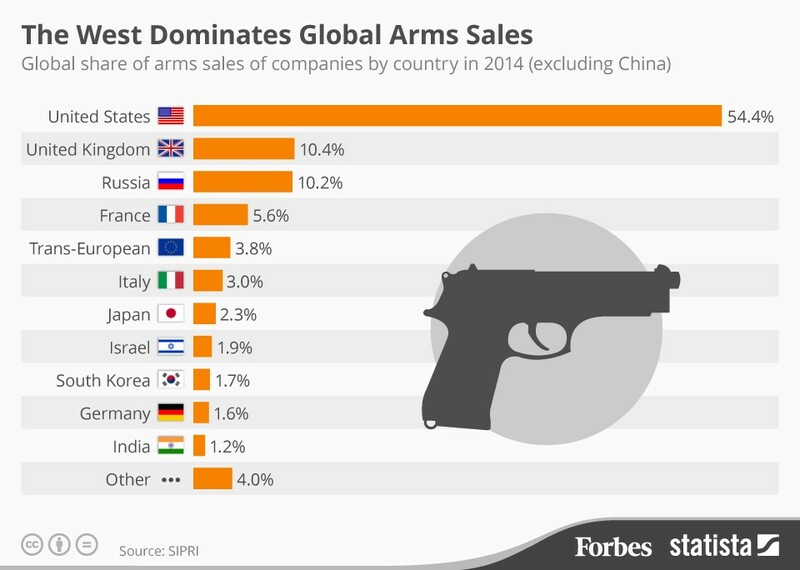 The Real Number…U.S. 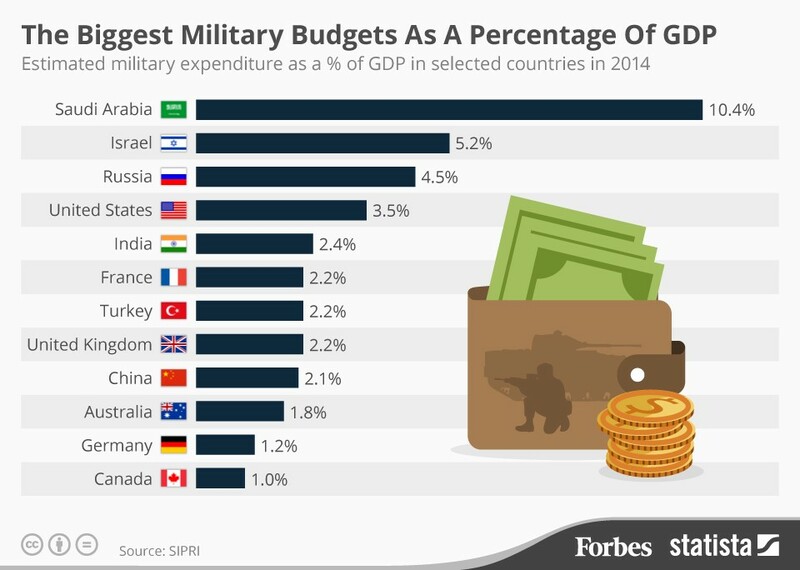 Military Budget as a Percentage of GDP as Opposed to Press Headlines on Raw Numbers. 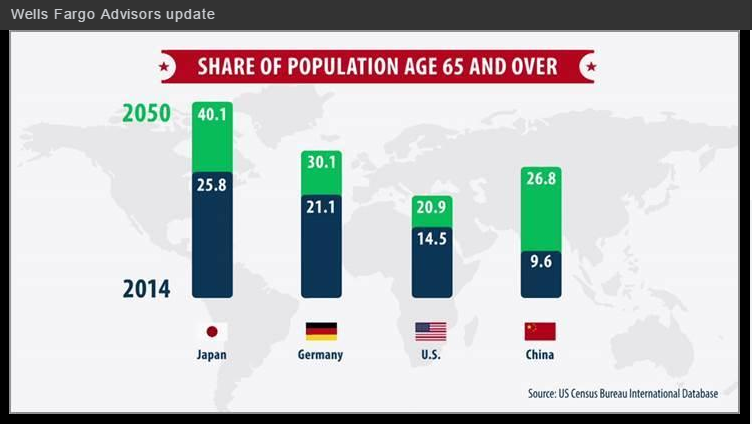 9.Demographics is Destiny….The U.S. Looks Good Relative. Procrastination is rarely just about laziness — that would be too easy to fix. We dug into the growing body of research on procrastination and highlighted some of the least obvious explanations for why you push things off … and off and off. So don’t, well, delay. Read on and see which of those theories most resonate with you. Research led by procrastion expert Timothy Pychl found that women who grew up with authoritarian fathers (those who place a high value on obedience and aren’t particularly warm) are more likely to procrastinate as adults. Writing in Psychology Today, Pychl says that’s possibly because procrastination is a passive aggressive way to rebel against external agents of control — something they weren’t able to do when they were young. One recent study found that people who think a deadline falls in a time like the present will be less likely to procrastinate than people who think a deadline falls in a time unlike the present. In other words, if it’s July 2017 and you find out a project is due in January 2018, you’ll be more likely to procrastinate than if it’s June 2017 and you find out the project is due in December 2017. That’s because we categorize time in terms of years, and a same-year deadline seems sooner than a next-year deadline, even if they’re both six months away. The next time you find out an assignment is due the following week, try reframing the deadline as “like the present.” In the study, participants achieved this by looking at a calendar in which the current date and the due date were the same color. Losing 20 pounds might seem like a tremendous undertaking, so it’s tempting to put it off endlessly. People with this mentality “think of the 20 pounds rather than the day-to-day struggle of chipping off the weight and gradually reaching a goal,” Judith Belmont, Ph.D., told Today Health. Other research by Pychyl found that undergrads who felt less similar to their future self — whether 10 years or two months down the road — were more likely to procrastinate on their school work. And an earlier review of studies suggests that procrastinators are less likely to think about and plan for the future. Fortunately, as The Washington Post reports, it might be possible to cultivate a greater sense of connection with your future self. In one study led by Hal E. Hershfeld, people who looked at digitally aged photos of their faces were more likely to say they’d invest money in a retirement account. The Post also reported that some insurance companies are applying this research and starting to offer digital tools that show you what you’ll look like when you’re older.